About Rohde Painting, Inc. - Company History | Rohde Painting, Inc. Serving La Crosse, Onalaska, Holmen, West Salem, La Cresent, Galesville, Trempealeau, & more. Rohde Painting was proud to be featured in Sherwin Williams' Spring 2014 publication of Professional Painting Contractor Magazine (PPC). PPC is a National publication and an industry resource offering valuable information for residential and commercial painting contracting firm owners. 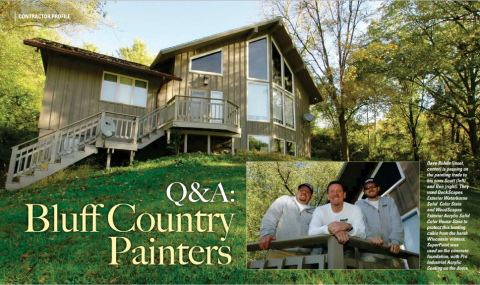 Read the Q&A with Dave Rohde, founder of Rohde Painting, Inc.
Our mission is to protect surfaces and gain relationships through unmatched quality, care and customer service. Providing detailed proposals listing services, paints, and final cost. We guarantee our agreed upon price is what you will pay in the end. We guarantee your complete satisfaction with the results before final payment. We guarantee interior annual touch ups for a full 2 years. On February 1, 1983 after working for his father’s drywall and painting business for 10 years, Dave Rohde branched out and started Dave Rohde Interiors & Exteriors. For the next 17 years he and his employees strived to become a leading residential & light commercial painting contractor in the La Crosse & Onalaska area. Consistently providing exceptional quality & dependable service were the keys in building a strong customer and builder client base. On January 2, 2000 the company became incorporated and the name was changed to Rohde Custom Painting. In December 2011 the name was shortened to Rohde Painting. Today Dave's 2 sons, Scott and Ben, are the working 3rd generation and have several years of experience learning the painting skills, the lessons of good character, and the rewards of a job well done. Rohde Painting continues to learn about the newest products and tools which enables them to provide their customers with the latest innovations, to build and foster long lasting relationships. 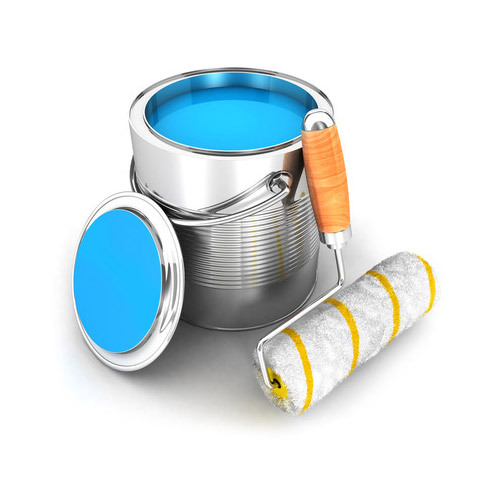 Rohde Painting looks to the future as your leading residential painting contractor. 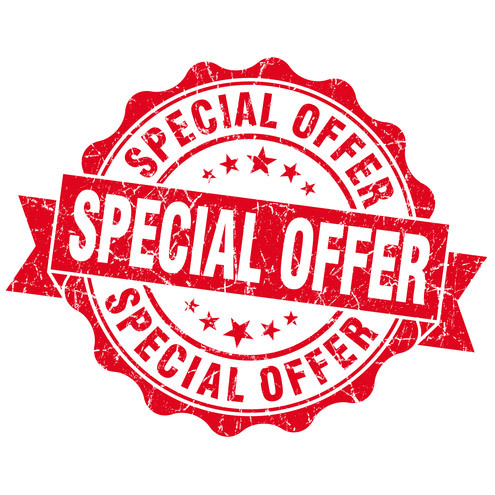 Use this web site to print coupons and learn about special services. We are committed to using the most up-to-date innovative products. "Thanks for a job well done! We value your work and look forward to calling you again and recommending your business to others. We trusted your recommendations on colors and are so pleased with the results." "We are very happy with all of the painting and papering. I would refer you and your crew to anyone." "Highly recommended. Dave even asked to see how we liked the first coat and was willing to change the paint color on our fireplace." "Thanks for doing the work - we appreciate your patience in helping us set the right color for our home." "I am quite pleased with the work done. Thank you." "You guys did a top notch job and we couldn't be happier! Everything looks great!" "We were very pleased with the painting job done at our home. We will use your company again. You've done a great job, Dave, in training your son, Ben. Thanks again from a very satisfied customer!" "Job looks great. Weather did not cooperate but painters worked through heat, etc." "Thanks Dave. Happy to have you work done and my freetime back!" "Thank you for doing an excellent job. You are an established business of excellent standing." "Very Professional and easy to work with." "Immaculate job! Thank you so much. I was so impressed with the beautiful work and the respect of your employees." "Everyone was super friendly and the house looked great when they finished." "Enjoyed the whole experience! Excellent job!" "Great job! We’ll use you again." "The job was left clean and orderly, even vacuumed!" "Excellent job! Looks better than new!" "Extremely neat and professionally done job!" "Employees are very courteous, considerate and always neat and professional." "Very well done and professional, as always." "Would definitely refer your company!" "Employees were polite, professional and had knowledge of paint. We appreciate the meticulous nature of the work. Attention to detail is important to us." "Very efficient! Great to have a wallpaperer and painter we can depend on." "Super job! Everyone is impressed." "Very happy with job! Completed while we were on vacation. Thanks for doing it on our schedule." "Thanks for helping to make our house into our home. Great talent and ideas. Each team member was very cordial. Keep up the excellent service!" 2/17 "Job nicely done. Very efficient, easy to work with!" 2/17 "The staff from Rohde Painting did all the work, moving the furniture and clean up at the end in 2 days, everything was finished! Very satisfied, no problems at all!" 1/17 "Professional all the way. Everything was good!!" 2/17 "Polite, fast, neat with their work, and clean up was great!" 3/16 "They were prompt, courteous, and very professional. The price was fair and they kept me informed as the project moved along. They provide professional work, complete clean up, and they come when expected. I will be contacting them for my next project." 4/16 "They responded to my request for painting very quickly. They were very thorough and did neat work, with high attention to detail. You know the job will be top notch. They are very pleasant and easy to work with. Thanks Dave, great work as always!!" 5/16 "My favorite part of the project was seeing the change it made in our living room, and the great job that you did. You were also here when you said you'd be, and finished on time!" 9/16 " I really appreciated the minimal interruptions." 4/16 "I love the quality of your work!" 9/16 "Quality job and the end result is amazing! I can't thank you enough for taking care of our painting needs! It's such a treat to see a super job done!" 7/16 "Favorite part is knowing that quality is a high priority! The team of painters were great at communicating the progress of the project. Very professional and cared about the work. I was contacted about colors and could provide past supply of products. You did the work of finding equivalent paint for the products that had been removed from the market. You again did an amazing job!" 1/17 "I really liked the speed the job was completed." 9/16 "All the guys did a great job. Communication throughout was perfect. Ben and Scott were very accommodating when deciding if we were going to keep the accent color. We couldn't be happier with the project!" 1/17 "Very timely, quick and efficient. Looks great!" 4/16 "I really enjoyed how nice it all turned out, and how nice Scott and Jon were to work with." 10/16 "The door is just beautiful, we love it!" 12/16 "Promptness and cleanliness in process was appreciated, as well as quality of work. However, my favorite is my beautiful front door with the unexpected new hardware. Mega thanks Dave!! 11/15 "My favorite part is the new colors and the change it made to the living room." 1/17 "You made my whole project very easy and exciting. I love the colors and the team was very professional and polite." 6/16 "I love the finished product and having most of it done while i was away! And the pleasant surprise of no charge for the sanding!" 12/16 "Polite employees. They cleaned up the mess each day. They worked quickly. We will use your business again, Thank you!" 12/16 "Everything done in a timely manner. Meticulous work! Beautiful results!" 2/17 "Workers are professional, courteous, friendly, and knowledgeable. The results are great, clean-looking job. Didn't have to do it ourselves. They went the extra mile with cleaning the light fixtures, fan blades, and light bulbs. The service before and during was excellent, always tiding up before leaving, and after they stopped by to see how we like the job!" 12/16 "Dave and his crew are the best! Ben was outstanding!" 10/16 "my favorite part was seeing the painting job finished and being pleased with the end result. Both Ben and Scott pay close attention to the details which I greatly appreciate. They go out of their way to make certain that their customers are pleased. We have used Rohde Painting in the past and will continue to do so. They are neat and tidy and clean up when done!" 7/16 "Favorite part was the quality workmanship. They are polite and courteous painters that don't have loud boom boxes! I understand, you get what you pay for!" 1/16 "Everything from start to finish was done professionally and in a timely manner. Felt the crew went above and beyond what we expected!" 12/16 "Thanks Dave for all your help on picking out the paint color. It's perfect and we love it! Guys did an amazing job and SO appreciate their professionalism in clean-up and putting everything back." 11/16 "Professional work by professional people." 3/16 "I really liked getting the cracks and texturing done professionally by a great crew. Awesome job, clean and neat. We are extremely pleased with the workmanship!" 2/17 "It all looks so nice. Everything went so smoothly that two days afterwards we didn't even remember it had just been completed." 2/17 "Work completed while i was out of town on vacation without incident." 11/15 "My favorite was you did all the work and you were quick! Thank you!!" 2/17 "Excellent attention to detail (edges, window and door frames, wallpaper edges.) Polite, friendly, helpful workers that went the extra mile and put all back as it was, even cleaned under bed and took care of my mold!!" 3/16 "My favorite was the fact that i could leave town and not worry about anything. The job was done perfectly and everything was put back in order and everything was clean also. I love the new paint color! You are the best!!" Rohde Painting Inc. services La Crosse County, Trempealeau County, Vernon County and Houston County. Cities including La Crosse, Onalaska, Holmen, West Salem, La Crescent, Trempealeau, Galesville, & more. Copyright ©2015. All rights reserved.